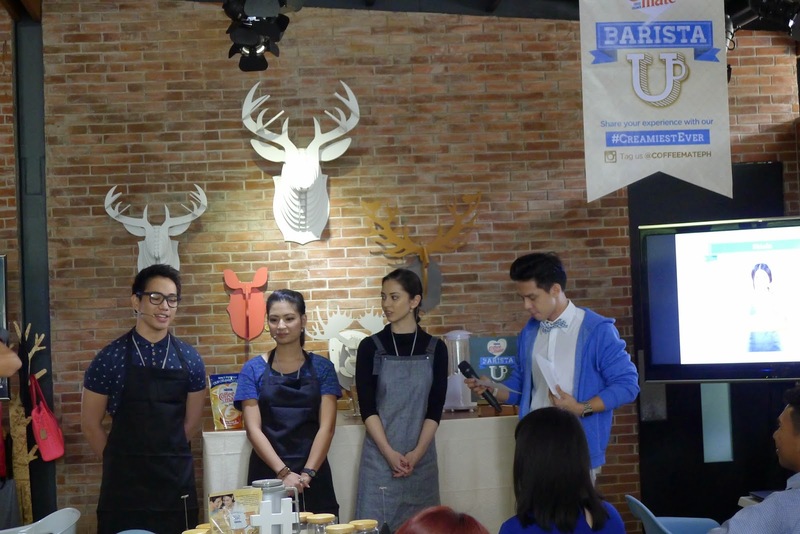 Have you ever wondered how Barista's concoct your favorite coffee drinks? 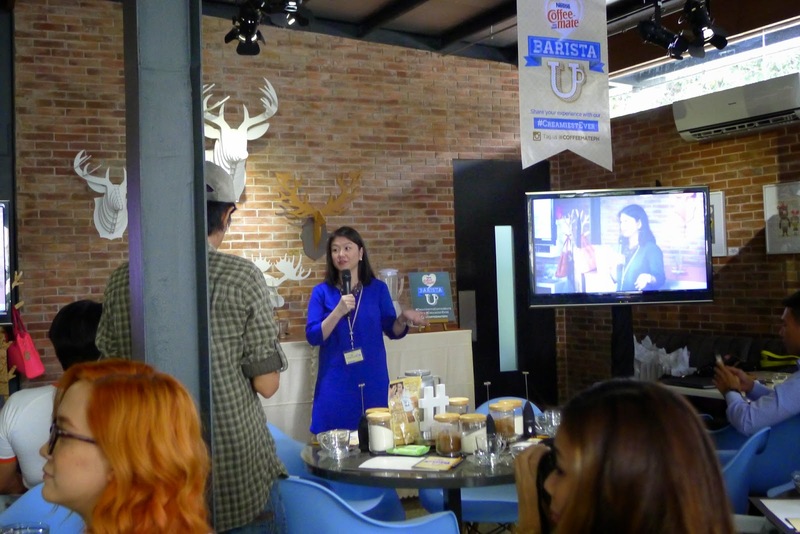 I had the privilege of experiencing how it is to be one at the Barista University (or Barista U) of Coffee-mate Philippines. It was an exciting, challenging and super fun experience! 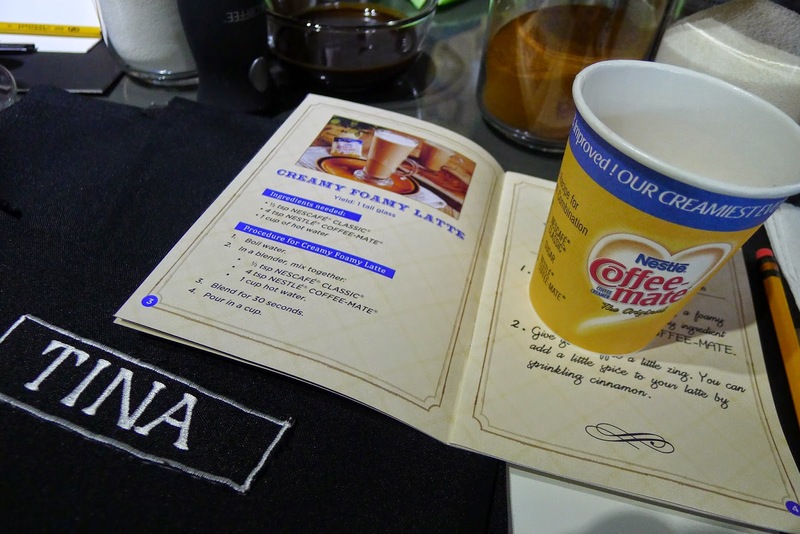 When I arrived at the Barista U venue, I was first given a hot cup of coffee to start my day, an apron with my name on it, a coffee making guide was on my designated space, there was also a hand frother, instant Nescafe Coffee, Coffee-mate, a paper board, cutter and a pencil. I was thinking to myself, this is serious stuff, we are really going to mix our own coffee drinks! As a coffee lover myself, this is such a thrill because I can now make lattes, macchiatos, iced coffee, etc. at the comforts of our own home. 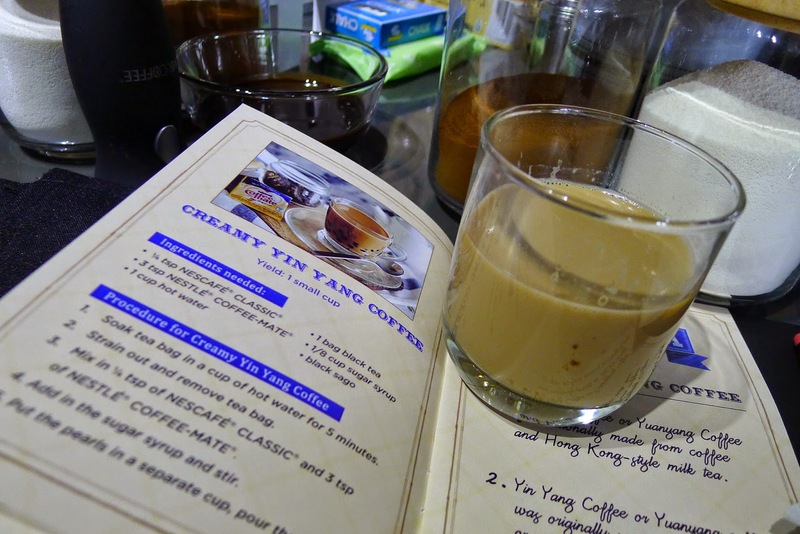 I must admit, I really liked the flavor of the Creamy Yin Yang Coffee. I can't wait to try this coffee recipe at home! 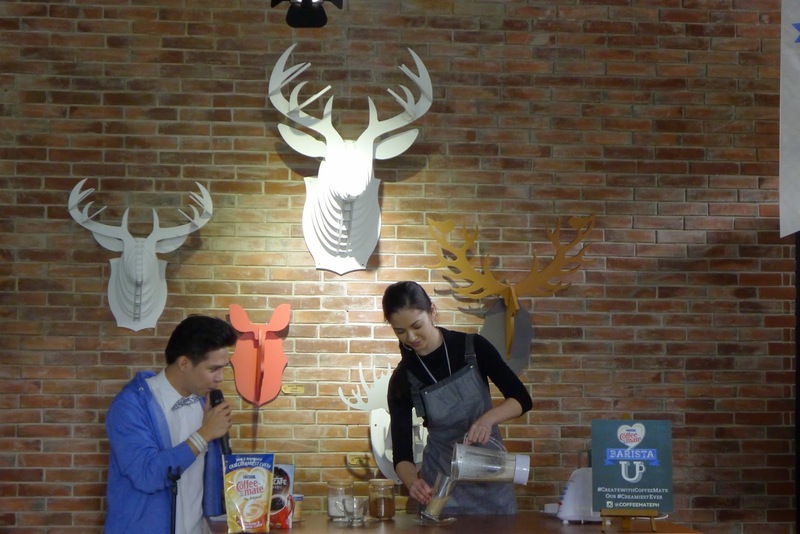 Then it was our turn, our professors asked us to make our own Creamy Caramel Macchiato coffee drink. I was surprised that it was quite easy to make, but the challenge really was making the coffee art appear on top of the foam. Later on a group submission of our version of Creamy Cookies and Cream Iced Coffee was made. We were asked to name our drink, which was originally called "Balsa", at the last minute it became "Titanic", haha! 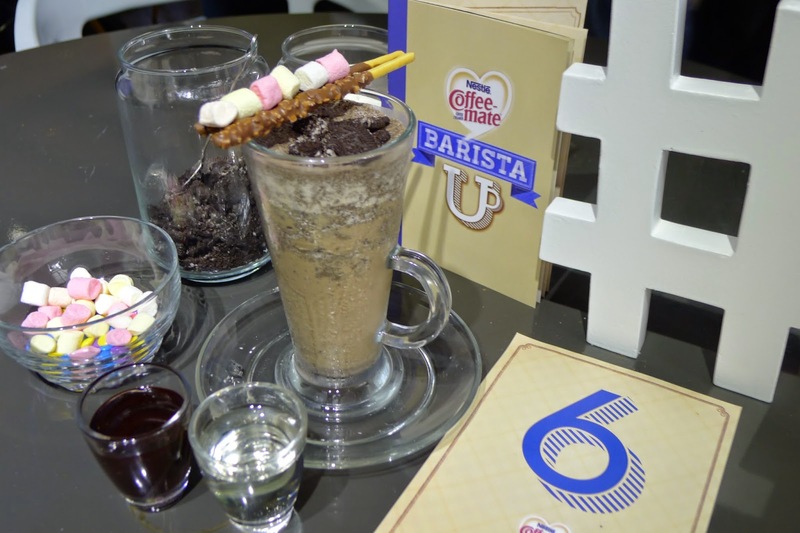 It was tasted and judged by our Barista U professors and by Ms. Kristy Tesoro Salumbides, Brand Manager for Coffee-mate Philippines. It was a heart racing experience and it certainly felt like I was back in school and I had to pass the exams. 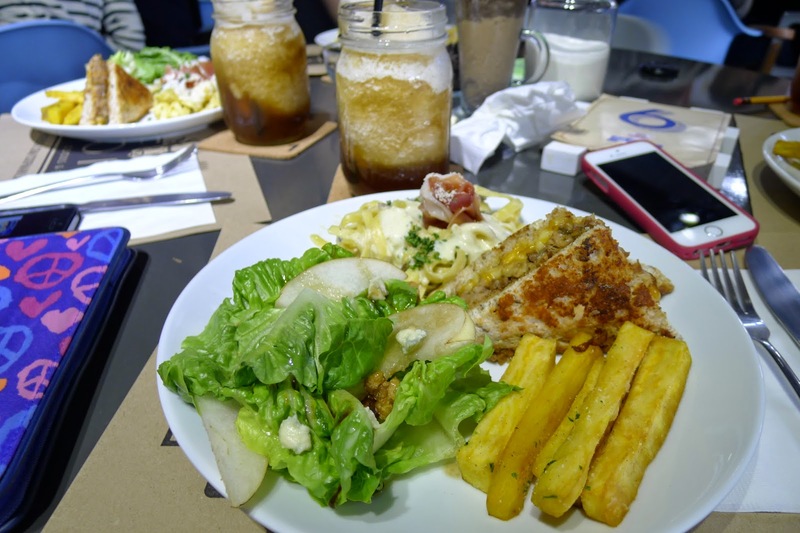 It was a great day to learn something new, meet new friends in the blogosphere who were all so game and fun-loving. 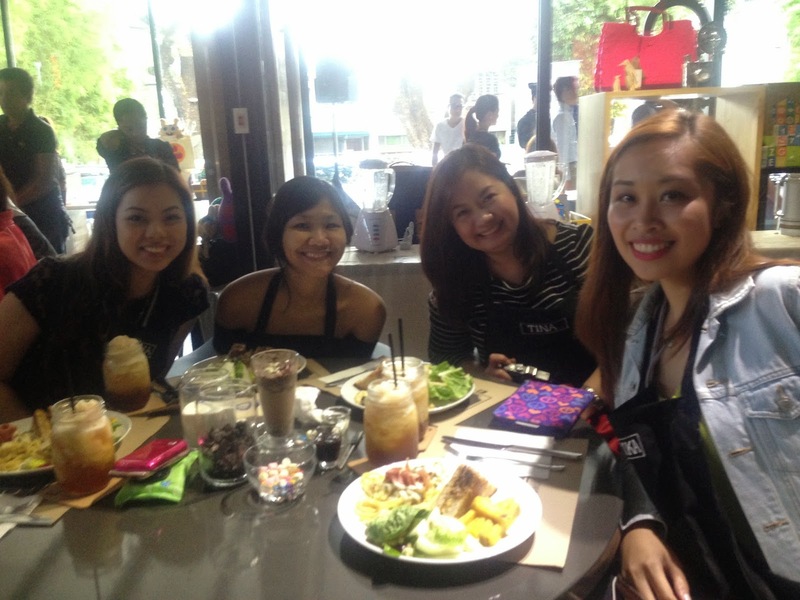 In this photo (from left to right): Phylicia Marie Pineda of Stylecentric, Mansy Abesamis of www.mansyabesamis.com, Me and Chessika Chua of Your Kikay Diary. 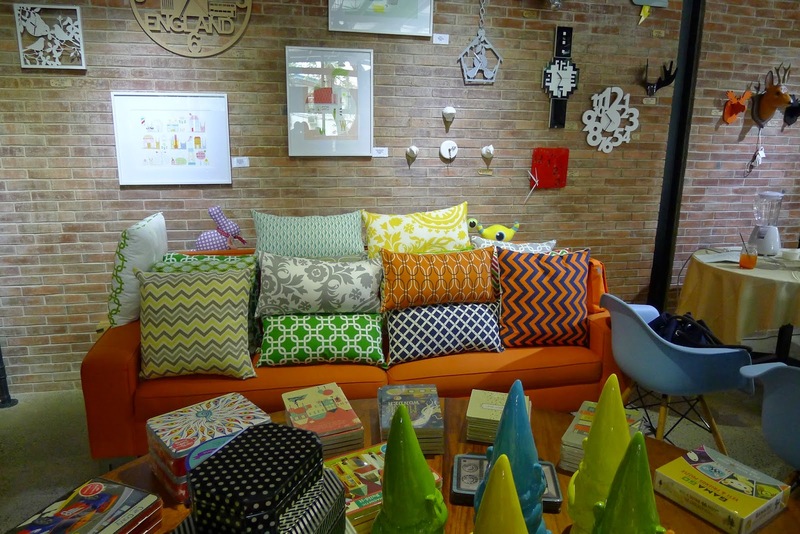 Our blog categories vary, but it was such a pleasant surprise that we blended well as a group. 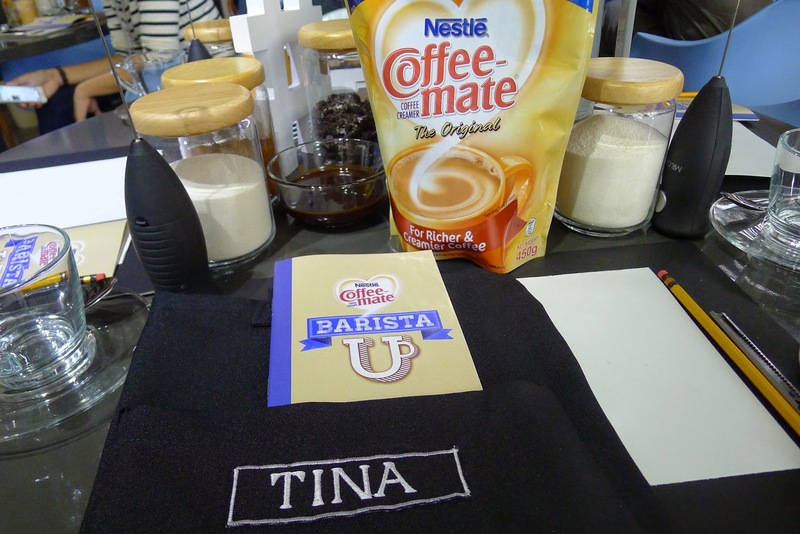 You can also be a barista in your own home, for the creamiest coffee recipes, check-out Coffee-mate Philippines facebook page @coffeemate.ph and on instagram at @coffeemateph. 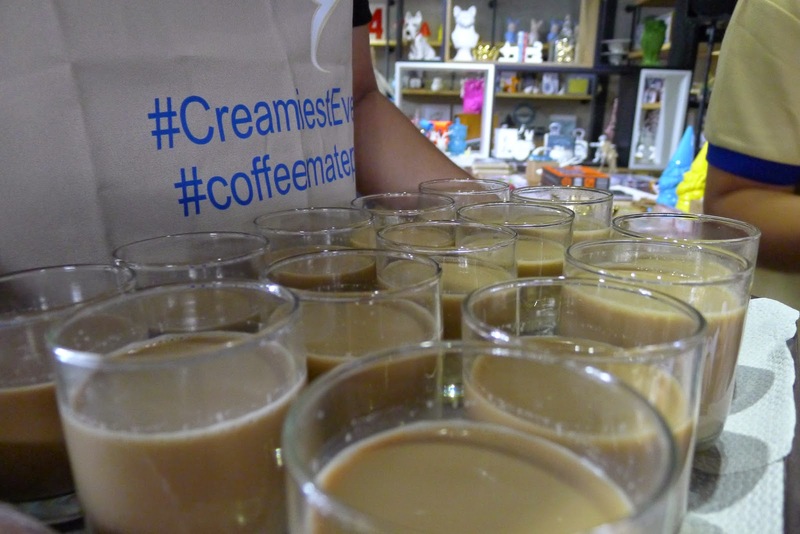 Share your coffee creations by using the hashtags #CreateWithCoffemate #CreamiestEver #CoffeematePH on social media.